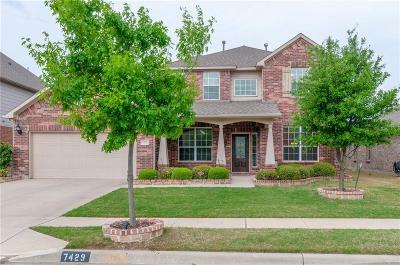 Extremely well maintained beautiful home backing up to the greenbelt and jogging trail for great views not found on other homes in the neighborhood. This home pops! Granite counters thoughout kitchen, butlers pantry as well as baths. Large master bedroom is down stairs with good sized secondary bedrooms as well as game room on the second level. This floorplan lives and flows extremely well. This in demand neighborhood features 2 pools , jogging trails, parks and is close to shopping , restaurants and nightlife. Keller Schools complete the package to make this a great choice for your next home! Room measurements are approximate.